The specialty trade contractors market consists of the sales revenues earned by entities (organizations, sole traders and partnerships) that perform specific activities (e.g., pouring concrete, site preparation, plumbing, painting, and electrical work) involved in building construction or other activities that are similar for all types of construction, but that are not responsible for the entire project. The work performed may include new work, additions, alterations, maintenance, and repairs. The production work performed by establishments in this market is usually subcontracted from establishments of the general contractor type or for-sale builders, but especially in remodelling and repair construction work also may be done directly for the owner of the property. Specialty trade contractors usually perform most of their work at the construction site, although they may have shops where they perform prefabrication and other work. 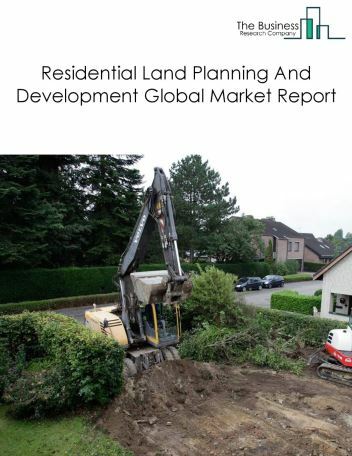 The sales revenues of establishments primarily engaged in preparing sites for new construction are also included in this market. 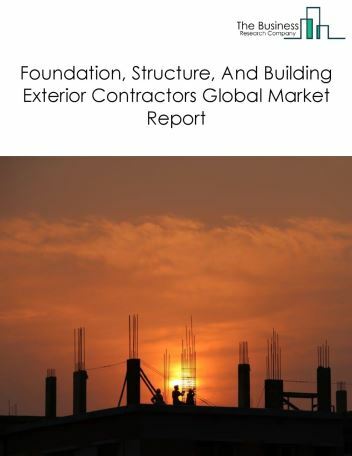 Major players in the global specialty trade contractors market include Vinci SA, Acs Actividades De Construcción Y Servicios, Quanta Services Inc, Kier Group and Comfort Systems USA Inc. 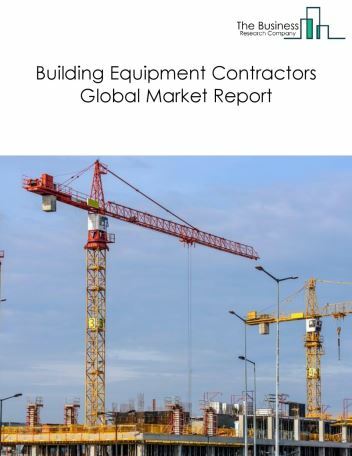 The specialty trade contractors market size is expected to reach a higher value by 2022, significantly growing at a steady CAGR during the forecast period. 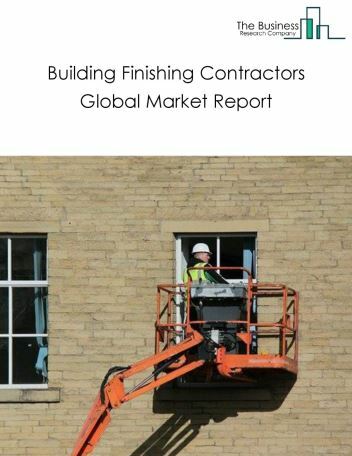 The growth in the specialty trade contractors market is due to low interest rate environment, emerging markets and technology development. 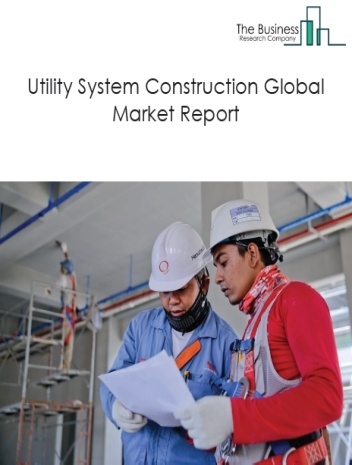 However, the market for specialty trade contractors is expected to face certain restraints from several factors such as decrease in productivity, continued technology investment, market uncertainty. 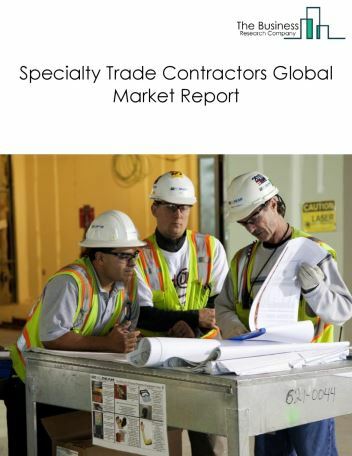 The global specialty trade contractors market is further segmented based on type and geography. By Type - The specialty trade contractors market is segmented into foundation, structure, and building exterior contractors, building equipment contractors, building finishing contractors, other specialty trade contractors excavation and demolition, roofing, concrete work, water well drilling , electrical contractors and other wiring installation contractors, plumbing, heating and air-conditioning contractors, other building equipment contractors , drywall and insulation contractors, painting and wall covering contractors, flooring contractors, tile and terrazzo contractors, finish carpentry contractors, other building finishing contractors , site preparation contractors, all other specialty trade contractors. 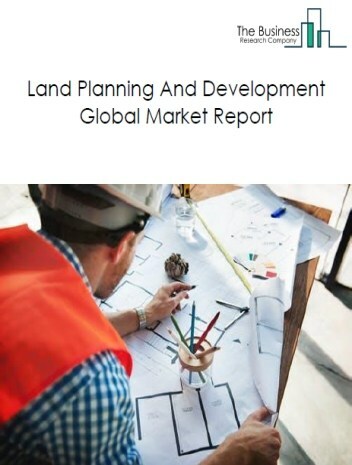 By Geography - The global specialty trade contractors is segmented into North America, South America, Asia-Pacific, Eastern Europe, Western Europe, Middle East and Africa. Among these regions, the Asia-Pacific specialty trade contractors market accounts the largest share in the global specialty trade contractors market. 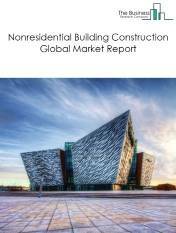 Specialty Construction Contractors using building information modeling (BIM) to improve labour productivity is the major trends witnessed in the global specialty trade contractors market. Potential Opportunities in the Specialty Trade Contractors Market With aging population, economic growth, urbanization, the scope and potential for the global specialty trade contractors market is expected to significantly rise in the forecast period. 20.3.4. Kier Group and Comfort Systems USA Inc.